The Dorset Golf Club was inaugurated in 1894, when the Dorset Community Golf Course opened on the old Croydon Council tip site off Trawalla Road, Croydon in Victoria. The first Professional and Manager was Bill Britten. Over the past century, the numbers have ebbed and flowed, from a peak of 700 members in the early 1980's, down to 70 members, fifteen year later. From 1999, with the effort put in by a new committee, the club has grown to around 250 members. Most members are now either retired pensioners, weekend "hackers" or just starting out in golf. For the average member, joining an exclusive private golf club is not a financially feasible option. In 2003, Ausnindo-Asia/Pacific committed to a sponsorship agreement with the Dorset Golf Club. 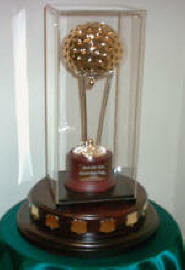 The sponsorship provides for a perpetual trophy, held by the Club in the Clubhouse. Custom designed for the event by world renowned designer, Tommy Hadiat, this unique trophy will become the property of the Club at the conclusion of Ausnindo's sponsorship. In 2007, the format was changed to introduce the opportunity for ladies to compete at their own level and increased sponsorship allowed for more prizes to be awarded. Prizes now have increased, with a total of sixteen (16) sponsors in 2010, all local businesses. The event is catered, with a hot lunch provided for all players. 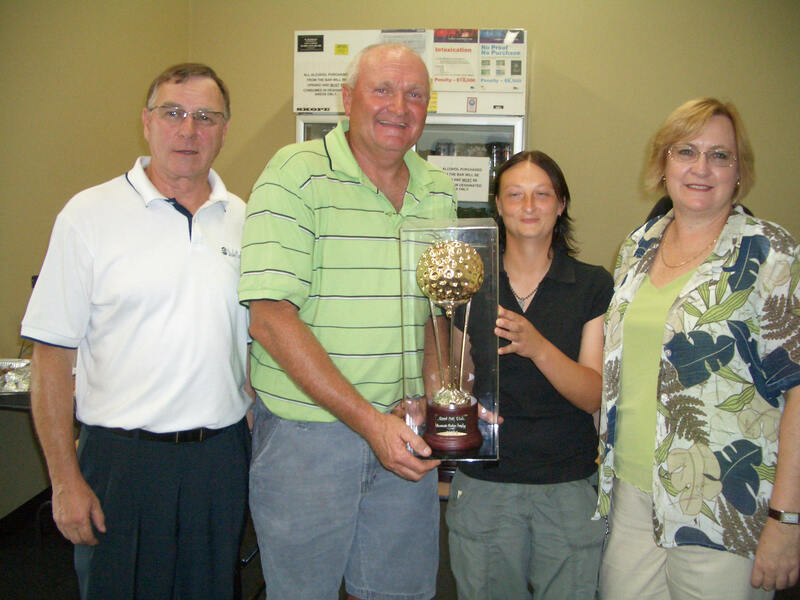 The Ausnindo Trophy was held on Saturday, 27th March 2010. The change in format of the playing conditions from qualifying rounds to a single round event has been welcomed by the members of the Dorset Golf Club and drawn greater interest, resulting in a larger number of players. Participation this year was the greatest to date and will be improved further by planned early promotion of the event from the committee. Promoting the event this year was unusually difficult due to recent renovations of the clubrooms, making it difficult to display notices and promotional literature, relying wholly on word of mouth canvassing which worked quite effectively, under the circumstances. The weather on the day was kind and we had a field of 68 players drawn from the Tuesday, Friday, Saturday, and Sunday playing groups. Course management members were very cooperative providing special concessional green fee arrangements for those members who normally played during the week. This I believe is one of the key reasons for the increase in the player numbers and was very much appreciated. The Sponsorship level continues to grow and I would like to think that we can increase the list of participating companies even further for the 2011 event. Many other smaller prizes were awarded, the prize pool this year amounted to in excess of $3000. Future events will benefit from increased approaches to the media to arouse their interest in this unique and news worthy event. With the refurbishment of the club facilities now almost complete and the improvement of the out-door areas, the event will continue to grow. I wish to thank Ausnindo-Asia/Pacific for their continued support and special thanks to Peter Wentzki for all his help.